PHP 5.6 is the version of PHP 5 that was released in August 2014. It is going to receive support till August 2017. PHP 5.6 offers more upgrades that were added after PHP 5.5 such as constant scalar expressions. It was launch of PHP 5 way back in 2004 that the language was considered to be a true programming language. PHP 5 brought in the most striking change to the language by supporting Object Oriented Programming (OOP). It established a way to conceptualize and write a program. PHP 5 made number of improvements that transformed the way to write PHP programs in addition to an all out support to Object Orientation. With DialWebhosting as your hosting partner, you can experience unmatched performance of web based applications with unrelenting network uptime and support of state of the art data center facilities. We are backed by more than a decade’s proven track record of providing reliable hosting services to clients from all business categories. 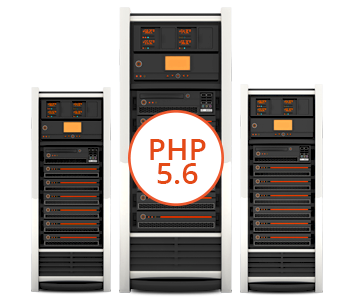 Why select PHP 5.6 software? Why Businesses Should Consider DialWebhosting for PHP 5.6 Hosting? DialWebhosting is your dependable host for PHP 5.6 hosting. We provide state of the art hosting setup of LAMP stack that consists of Linux OS, Apache server software, MySQL database, and PHP programming language. Our avant-garde infrastructure ensures faster page loading for gratifying browsing experience and higher bandwidth along with superior network connectivity for unmatched availability. We offer 100 per cent customization facilities and ensure that your mission critical application is configured as per your unique requirement of your website. You can rest assured that your application will be deployed instantly as per your customized requirements by our PHP 5.6 technical experts without any scope for failure or issues whatsoever. Our Tier III data centers are well equipped with N+ 1 redundant facilities for incessant network connectivity and SLA backed uptime of 99.95 per cent. DialWebhosting implements six zone security measures to safeguard your web based applications as well as databases, from unwarranted intrusions and virus attacks. We have developed remarkable capabilities for up-scaling resources, so that you can be assured of unrestricted resource availability and continue to expand and grow your site with assured availability of scalable resources. DialWebhosting ensures round the clock tech support from our highly knowledgeable technical experts in the event of any technical glitches. They are accessible via email, live chat, or telephone. If you need a trusted hosting partner for your mission critical hosting needs, then contact our technical experts to know more about our fast, reliable and secure hosting solutions.